This post brought to you by Advanced American Telephones. All opinions are 100% mine. Do you think wired telephone is dead? Not yet. Recent reports show that half of the landline telephone systems have disappeared in the last 10 years. More and more people are cutting their cords, especially the young generation. However, landline is still being used in nearly 70% of American homes. It is a big mistake if phone companies forget about this crowded market. AT&T seems to realize the abandoned market and they just announced the new AT&T CLP99383 Cordless Phone System to attract more customers. Let’s check out my review. The phone system looks really good. It is easy to set up, the handsets are very comfortable to hold, number buttons are big, so I believe it will take no time for the elderly to get used to the system. – Connect to your mobile phone using BLUETOOTH, so you can make/receive mobile line calls anywhere in your house with the handsets. 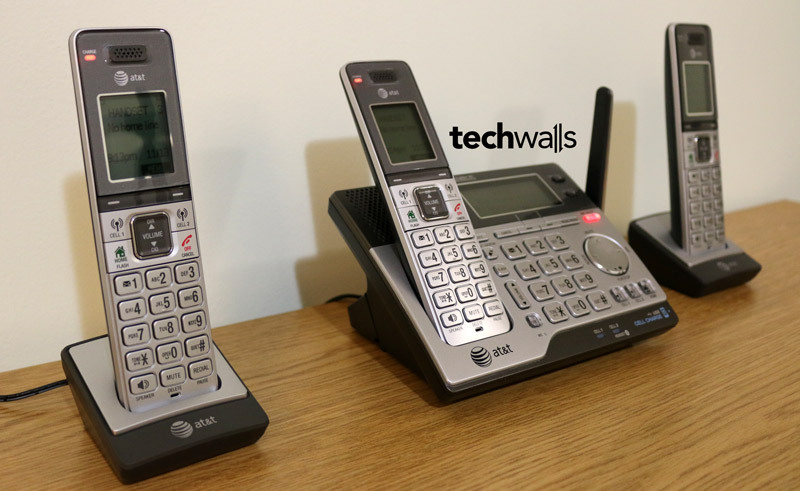 It will virtually merge your cellular and landline calls to one system. You even can use the system without landline. – You also can use a built-in battery of the phone to charge your mobile phone. This will be very helpful when there is a power outage. You will just need to connect to your phone through a USB cable. – After connecting, you can download up to 6,000 contacts from your mobile phone to the system. – Notifications from your smartphone will also be sent to the phone system. You will know when you have a calendar reminder or receive a text, e-mail and Facebook update. – Push-to-talk feature is a very interesting feature. 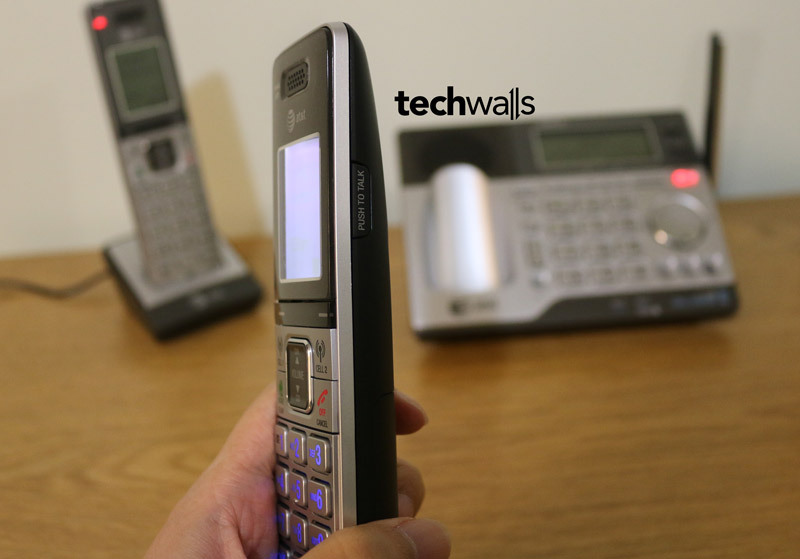 You can use it to broadcast your voice to any other handsets without dialing and ringing them. You just need to push the button on right side of each handset and it now becomes a walkie-talkie. I found it very helpful to call my kids. You can watch the video below to understand features of the phone system. I placed the base on the first floor and other handsets are on the 2nd and 3rd floor respectively. The system works really well and I had no issue in connecting between the handsets. 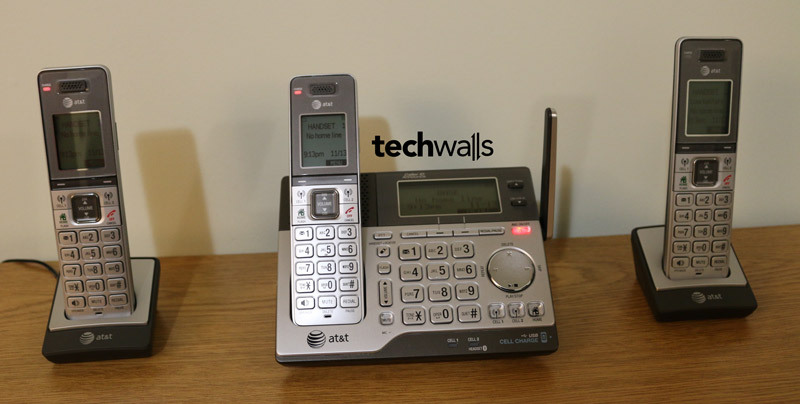 The CLP99383 is available on AT&T now and this is a good opportunity to upgrade your home phone system.